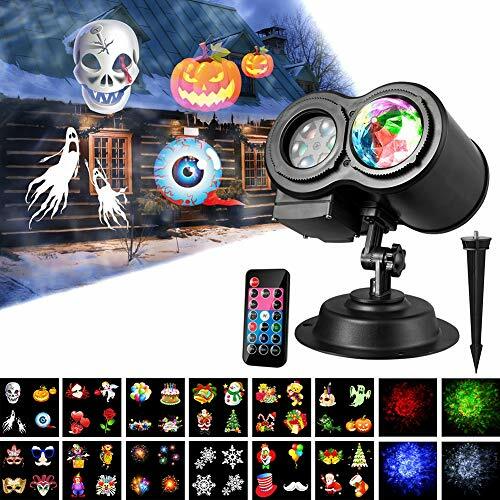 Size:142 x 109 x 118mm / 5.5" x 4.2" x 4.6"
♥PATTERN SLIDES AND OCEAN WAVE 2 MIXED TYPES OF PROJECTOR - Including Christmas and Halloween elements, Baby birthday, Love theme, Snowflack etc & 4 multi-colors ocean wave lights projection. Suitable for all occasions of every season every year. If you have any questions about this product by Gsha, contact us by completing and submitting the form below. If you are looking for a specif part number, please include it with your message.